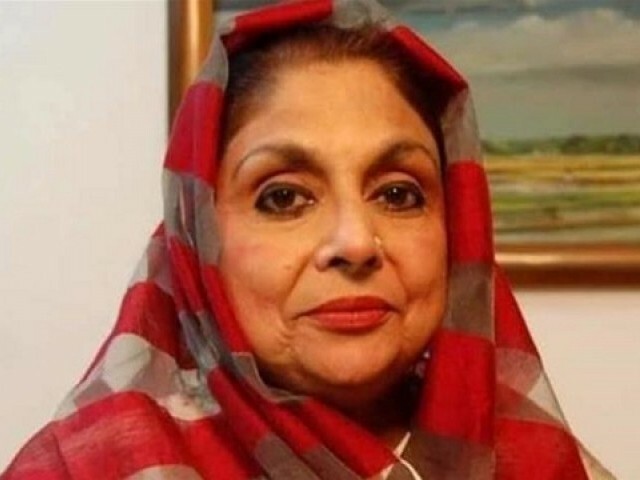 Renowned singer Shahnaz Begum, who sang hit patriotic songs including Sohni Dharti Allah Rakhe and Jeevay Jeevay Pakistan, passed away in Bangladesh at the age of 67 on Sunday. Shahnaz Begum, born in Dhaka in 1952, also sang in Bangladeshi and Pakistani films. She suffered heart attack, which proved fatal, according to media reports. She is the recipient of the Ekushey Padak in 1992 and Bangladesh National Film Award for Best Female Playback Singer for the film Chhutir Phande (1990). The 67-year-old singer’s career spanned five decades and encompassed a number of genres, particularly national songs. She had retired from professional singing about seven years ago and died at her Baridhara residence in the Bangladeshi capital. In 2006, Shahnaz’s four songs were ranked on BBC’s list of top 20 greatest Bengali songs of all time. The first funeral prayers were held at the Park Mosque in Baridhara. She left behind the husband, a son and a daughter. Tributes from Pakistan and Bangladesh poured in on social media remembering her as a “gifted singer” and the “voice of the nation”. Rest in peace #ShahnazBegum – melodious voice that will never be forgotten. #Pakistan & #Bangladesh will mourn the passing away of this gifted singer. Very sad to hear about the demise of legendary singer #ShahnazBegum, may Allah bless her soul in peace and grant her jannah. Her songs “Sohni Dharti” and “Jeevay Pakistan” gives goosebumps to the whole nation and her voice will remain alive for generation to come as well. Hearing terrible news. Shahnaz Begum, who sang and immortalised Sohni Dharti Allah Rakhe Qadam Qadam Abad, is no more. May she rest in peace. “Sohni Dharti” – PTV pays tribute the the legendary #ShahnazBegum whose unmistakable voice, behind an unforgettable anthem, shall resonate forever in our hearts. So sad to hear of the passing of Shahnaz Begum – what an amazing voice. RIP. We mourn the passing away of Shahnaz Begum, a wonderful singer. Her signature song “Sohni Dharti Allah Rakhay”, written by Jameeluddin Aali, still reverberates in our hearts and minds.